Best conversion rate Dramatically reduce the quantum of failed transactions across your platform with our fail-safe payment gateway. Saved card MobiKwik Payment Gateway taps into India's largest saved cards store. Gift your customers an absolutely seamless checkout experience. Uber has trusted Mobikwik over the years to provide a great payment experience for cardholders. They have always done the needful to support Uber India's rapid growth with customizations as and when required. 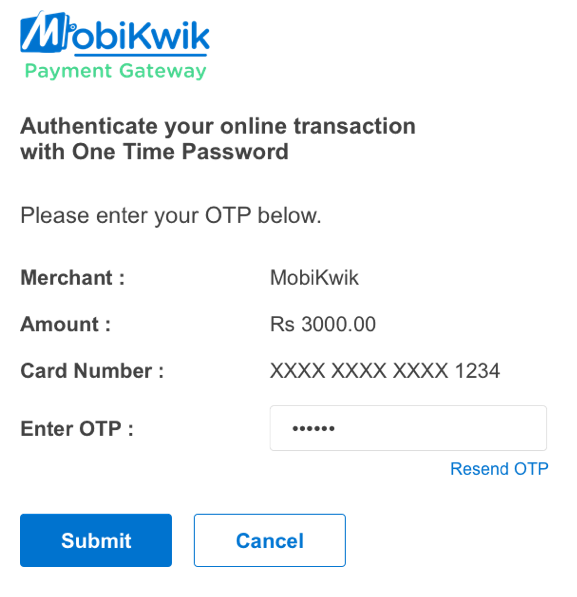 Mobikwik Payment gateway is the best PG among the other gateways we use in India. Team was very proactive in getting our gateway up and running within a day. The gateway is highly recommended by us. It is very robust with an above par success rate. Mobikwik has provided us with a very efficient & easy to use payment gateway platform. The team was very responsive & helpful. Thanks for all your support. Securely redirecting to payment page. automatically redirected to Merchant's page.